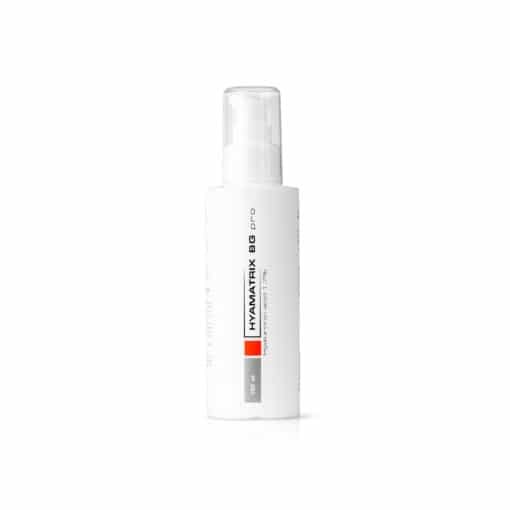 HYAMATRIX® BG Pro with 1.7% Hyaluronic Acid provides an instant rescue for sunburned, irritated, inflamed, or damaged skin. 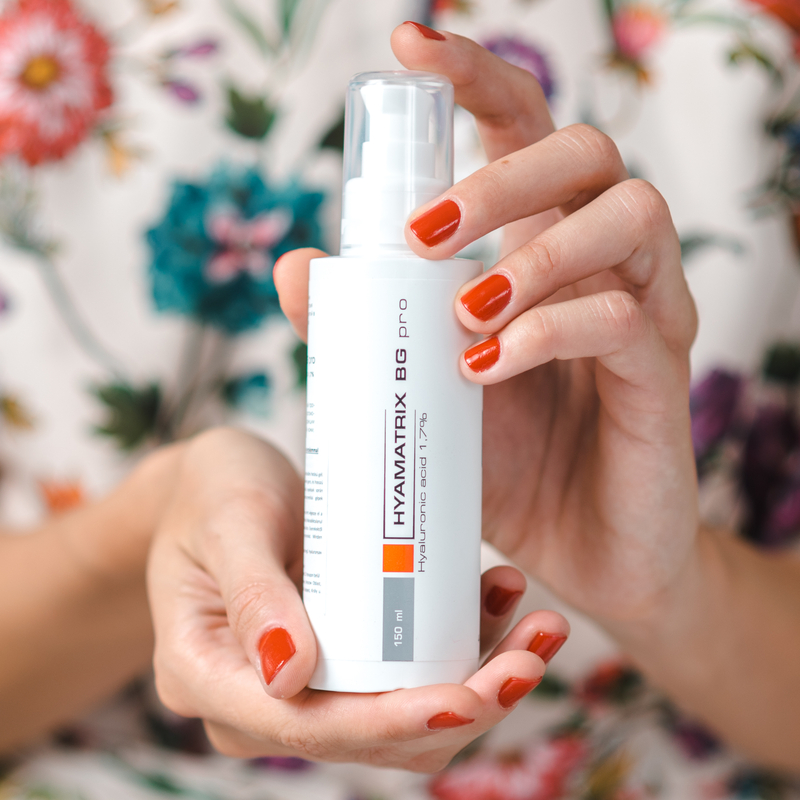 With a high concentration of hyaluronic acid and vitamin C, BG Pro effectively moisturizes while soothing inflammation. Its regeneration effects promote the healing process. Plus, this nourishing gel relieves redness and stinging immediately upon application, with absolutely no sticky residue! Use BG Pro after sunburn or other skin trauma to promote healing and provide immediate soothing relief. Highly concentrated hyaluronic acid penetrates the skin to provide deep, effective moisture and encourage cellular regeneration. This in turn helps to speed healing. Vitamin C acts as an antioxidant, diminishing cellular damage from trauma. Absorbs quickly to provide immediate relief from stinging, irritation, and redness. 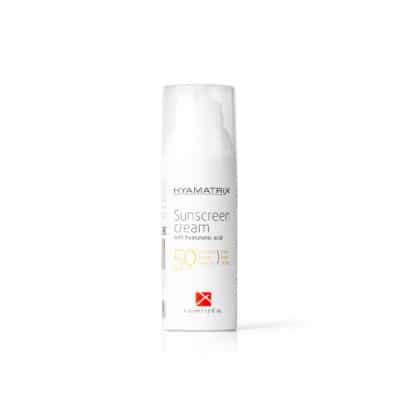 HYAMATRIX® BG Pro is formulated to treat sunburned, irritated, and inflamed skin. Use several times per day on sunburned or damaged skin. 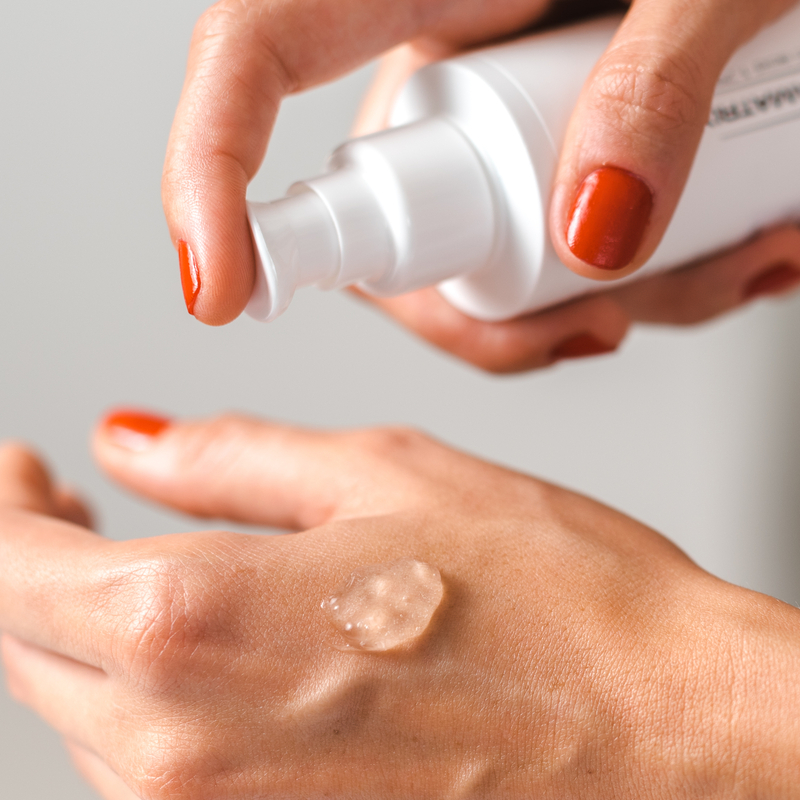 In gentle, smoothing movements, apply 4 pumps to the affected area until the product is fully absorbed. Follow with Sunscreen Cream or Argan Oil. 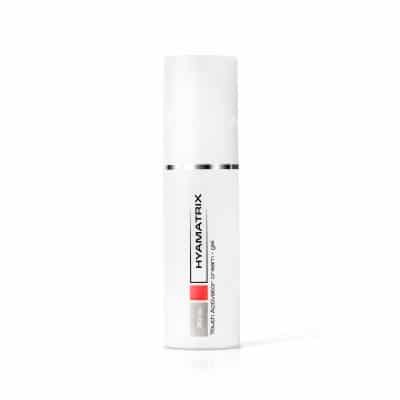 Hyaluronic Acid – Replenishes and moisturizes skin at its deepest levels. 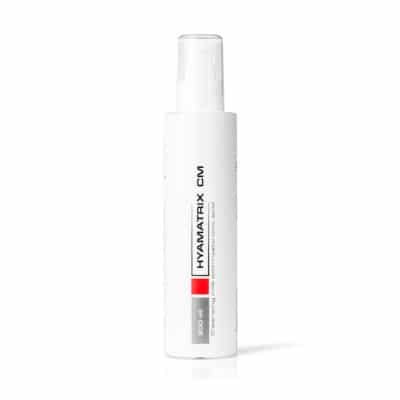 Stimulates the production of hyaluronic acid in the skin to further boost skin’s natural hydration. Promotes healing and cellular regeneration. Vitamin C – Strong antioxidant properties help to prevent cellular damage from skin trauma, especially those from UV rays.